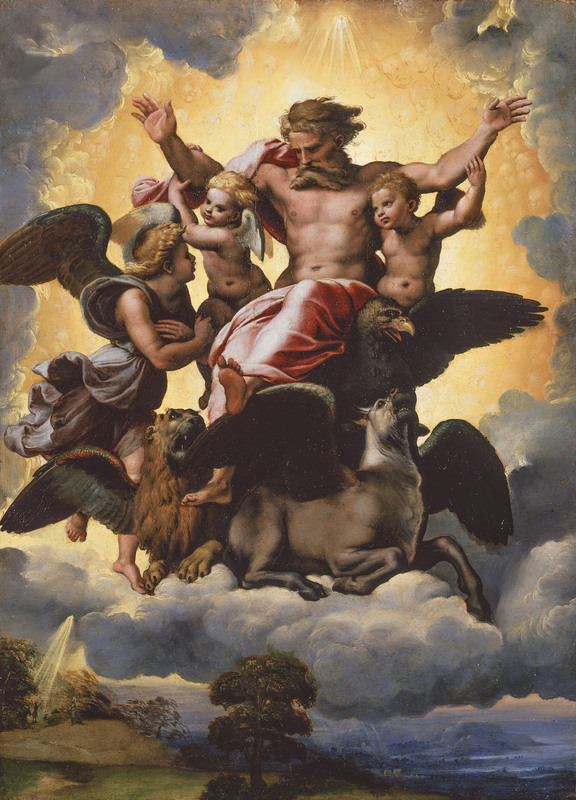 This entry was posted in Art, Bible and tagged art, Bible, Cherubim, Ezekiel, Giulio Romano, Lucas Cranach, Raphael, Visions of God, William Blake. I’m fascinated by interpretation, re-interpretation, and subsequent variations and influences of culture on how we “see”. 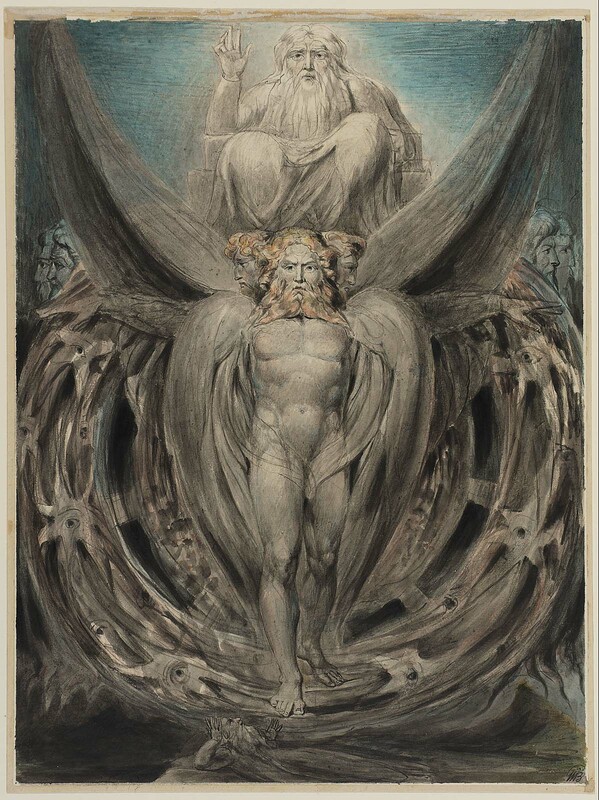 I would like to be able to get into the head of someone who would have heard Ezekiel speak, or have heard readings his writings to understand what they understood about these images. 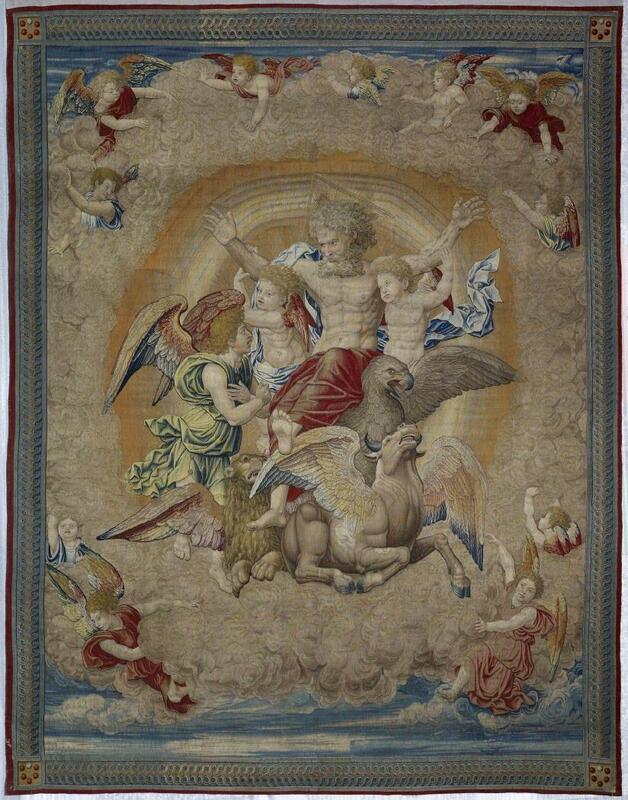 Being versed in Western art, the image of the four Evangelists immediately came to my mind. But, that may originate in my religious upbringing with the concept that Hebrew scriptures were foretelling of Jesus’ life, etc. Thanks for your thoughtful comment. Yes, all of our interpretations are so subjective and influenced by our own culture. 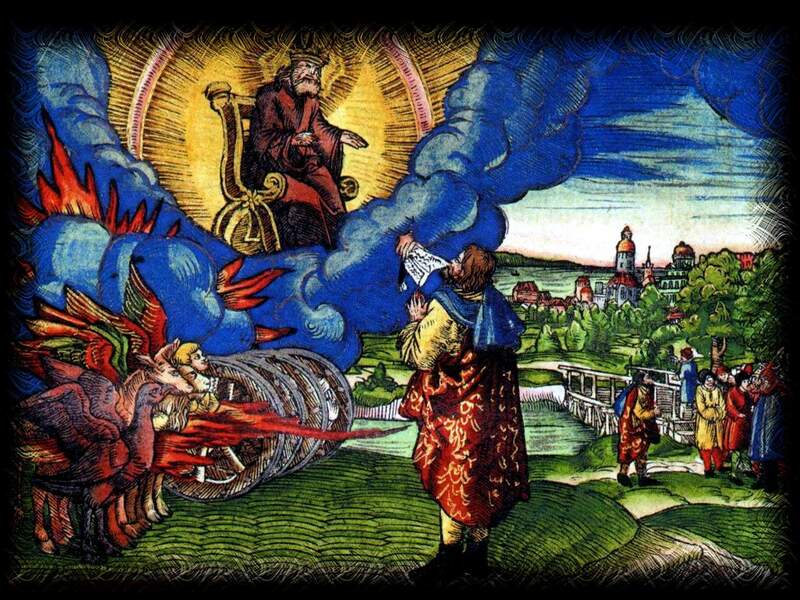 Of course, those in Ezekiel’s time (and Jews today!) would hear this passage so differently. I think it’s good to keep that in mind, lest we become too certain (prideful & dogmatic!) in our own interpretations.